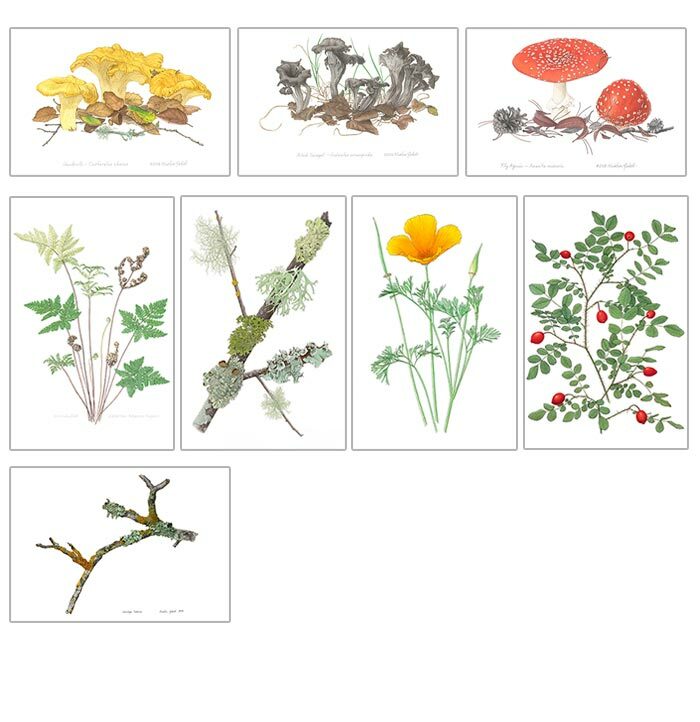 I self-publish a line of greeting cards of my botanical art; these eight images depict California native plants, lichens and mushrooms. All measure 4.25 x 6” and are blank inside. Please contact me at kristinjakob@att.net for retail or wholesale price list and ordering information.